Once again, down on the south coast this time, Eden Hazard was the star of the show for Chelsea. The Belgian international played a pivotal part in everything that was good about Chelsea when they attacked. 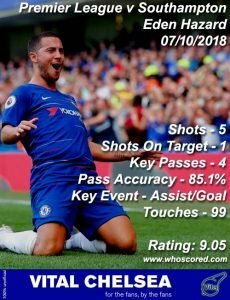 In fact, the record books show that Eden scored and provided an assist in the same Premier League game for the first time since October 2016 when by some strange coincidence the opposition were also Southampton. 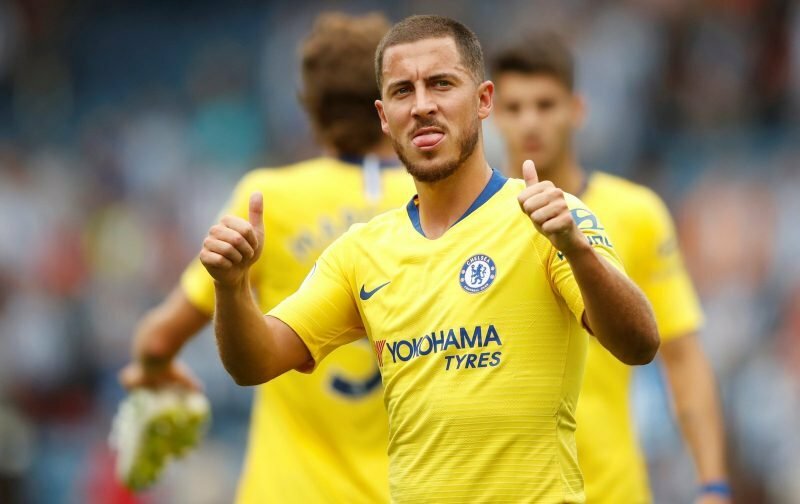 Yesterday, in demonstrating what he is capable of, Hazard has now been involved in 11 goals in 15 appearances against Southampton, scoring 6 and also providing 5 assists, I’m guessing the Belgian enjoys playing against the Saints. In my opinion, Hazard just pipped Ross Barkley for the man-of-the-match award, adding another to the list that is growing by the day. “We are enjoying playing well and scoring goals. The first half was not so easy, they missed big chances and then we have had a bit of luck for our first goal, but we controlled the match in the second half. Hopefully, the poll will provide us with the consensus of opinion.